Some things in life you only really learn to do by doing them. Actually, I’d argue that most things in life are like that – there’s nothing like personal experience to guide us. So when it comes to contracts, most of us don’t have much experience to show us the way through. Not only that, but we get nervous because it can be emotionally charged, and it involves legal and financial implications if not done properly. Yikes! So let’s tackle this all-important topic today. Now, as an entrepreneur and former massage therapist, I’ve drafted, negotiated and signed my fair share of contracts over the years. However, I am not a lawyer, so take everything I say as advice coming from my experiences and not legal advice. Hope that part was obvious. Speaking of that: do you need a lawyer when it comes to these things? Well, think of it this way. As a new kayaker, I’ve been taking lessons that include how to rescue yourself if you fall out of your kayak. But my instructor always says, the most important self-rescue is the one you do before you even leave the dock. Look out at the conditions and assess them based on your skill level. If the conditions aren’t safe for you, don’t even get into the water. So you can think of your contract negotiations the same way. If the contract is very clear and you fully understand what you’re getting into, it may be ok not to consult legal advice. However, if you’re reading the contract and don’t understand parts of it, or you wonder about certain legal implications, get help! It’s far better to do that self-rescue before you sign something you’ll regret later. Now that we’ve got those basics out of the way, let’s talk about negotiating a contract as a healthcare provider, fitness instructor, or anyone working as a self-employed person in health and wellness. Being friendly goes a long way. The first bit of advice I have is to go into these things with a good attitude and friendly approach. A lot of the nerves of contract negotiation can be soothed just by having a positive outlook and assuming you and the other party both want a good outcome. After all, you’ll be working together if you do sign that contract! So starting off on the right foot just makes sense. But especially with larger clinics or studios that have long contracts full of legalese, the process can feel stressful. You can transform a lot of that stress just by being upbeat about it. However, this doesn’t mean you let yourself get walked all over or pressured into signing something before you’re ready! I’ve bolded that because it is important – upbeat and friendly doesn’t mean pushover. I’ll say it again: don’t be pressured into signing something before you’re comfortable with it and ready to do so. It’s always better to take the contract home and review it before signing. Make sure you understand the contract and are fine with the terms. Don’t sign something you aren’t prepared to follow. This is really important. If you sign it, be prepared to follow it, no matter what others might have told you. A big example here in Ontario is contracts with non-competition clauses. Some clinic owners will create clauses that are very unlikely to be enforced because they’re unreasonable. For example, requiring you not work within a 5km radius of the clinic for two years if you leave. Even in a big city, a 5km radius is a pretty big distance and severely limits your ability to work and earn an income. So seeing that in a contract, you might be told that hey, you can just ignore that and sign anyway, because no court will enforce that. Instead, negotiate with the clinic to remove the clause, or have the distance changed to something more reasonable. The last thing you want is the clinic to sue you later on, for something you were told ‘wasn’t likely to be enforced’. Remember this is a negotiation, not a commandment. Friendliness aside, don’t forget the clinic or studio you’ll be working with isn’t your employer. They’re a business you’ll be contracting your services to. So you don’t have to accept the contract as written if the terms are not ok with you. Don’t be shy about asking to change the terms or even removing some parts completely! And this works both ways: if you’re the one writing the contract, be prepared to change things if needed. Overall, the point here is to come up with terms that both you and the clinic or studio are comfortable with. No one party gets to run the whole show. And if you can’t come to an agreement, it isn’t the right place for you and your work – no matter how perfect the fit might otherwise seem. Make sure the contract covers how to end it. My very first massage therapy contract left out this very important part, which left both myself and the business owner in a very awkward position when I left. I ended up giving two weeks notice, on the advice of friends, but now I realize how it probably would have been better for everyone not to do it that way. So the contract should cover how much notice you need to give if you’re leaving and what sort of penalties there would be if you gave less notice than that. It should also cover how much notice the clinic or studio has to give you if they want to end your contract early and how that process would go. You should never end up in a situation where you’re locked out with no access to your supplies and client records, and a proper contract can prevent this (although I can’t promise that of course: crappy situations still happen, but the contract gives you some time to go by if you need to take legal action). Any good contract should have this written very clearly. Who sets your treatment/session fees? How will you be compensated? Who handles the tax payments? What fees are you paying the clinic or studio? Are there things you will be expected to purchase and maintain yourself? Make sure anything you sign also follows all tax and other regulations as set out by any governing bodies you need to follow, such as the CMTO if you’re an RMT in Ontario. A common issue is HST filing: you should not be paying HST on the full treatment amount if you aren’t the one collecting the fees (and if the clinic is taking their cut from full amount including HST). The clinic should be paying their part. My advice? Check with an accountant for the full details on this one, as it can get complicated and many clinic owners (especially non-RMT) don’t understand how this works. While we’re on the financials topic, another bit of advice from experience: If the clinic or studio you’ll be working at has receptionists that collect your treatment/session fees, make sure the clinic takes responsibility for this and it is clear in your contract. I once worked for a clinic that had a contract that stated the therapist was responsible for all fees. However, there was a client of the clinic that they allowed to come in for a number of treatments without paying myself or the clinic owner, a fellow practitioner. I was told he’d been seeing the owner for a while and this was just what they did for him, and eventually, he would pay. Well, it’s been many years since I gave those treatments and he never did pay for his treatments, totalling over $1000 (with me, at least). When I called the owner on this issue, I was told that as stated in my contract, I was responsible for the collection of fees. I told them that since their receptionists were allowing people to leave without paying, it was clearly a clinic issue. This resulted in myself and the owner having an awkward chat about this practice of letting people leave without paying. I also ended up telling the reception team that anyone seeing me was not permitted to do this under any circumstances. If someone who was a client of another practitioner was allowed to do this, that’s fine. They just weren’t to be booked with me unless they understood payment was due the day of the treatment. So learn from my mistake! Make sure this is clearly stated in your contract. Don’t assume your regulations will be followed. If you’re a regulated health practitioner or have other legal obligations – such as a requirement to let your patients know if you are leaving a clinic, or requirements for proper handling of private healthcare information – don’t assume these will be followed. Make sure those things are detailed in your contract and match what you need to do as a professional. For example, are the files fully your responsibility and you need to take them with you when you leave? If not, how will files be stored and for how long? Who specifically is responsible for them? Will files be shared with other practitioners or are they your private files? Will you have access to them should you need in the future (such as if you’re called on to give information for a legal case)? I’ve covered a bunch of things this week, but there are so many other items that might come up with contract negotiation. If you have questions I may be able to help you with, please feel free to email me any time! I try to answer every single email I receive. 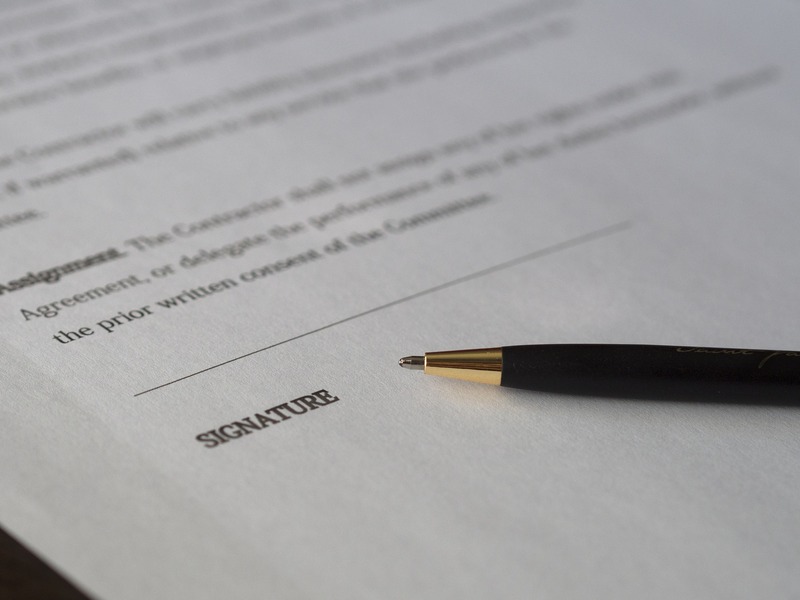 AND… If this contracts topic is helpful to you and you’d like some more details, I talked about it in episode 51 of Life Beyond the Massage Table. Tune in on Soundcloud or iTunes. Previous Post: « Can technology help grow your practice?